Due to many e-mails requesting help on building a system that would be not only a superior gaming system, but also a superior workstation, we decided that this month we’d up our build budget substantially and create a system build that can not only be a top of the line workstation, but also be a top of the line gaming system as well. 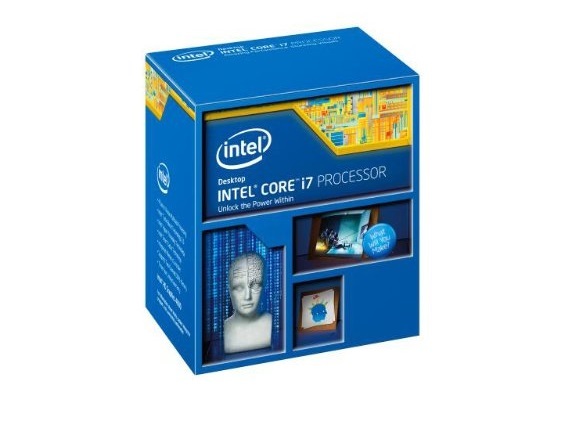 Similar to our previous Haswell based workstation build, our gaming workstation this month will be powered by Intel’s latest and greatest Haswell based Intel Core i7 4770K processor. It’s currently Intel’s flagship Haswell processor and has plenty of performance for not only playing the latest games, but also rendering photos and videos as well. The Intel Core i7 4770K’s default clock speed clocks in at 3.5GHz with the capability of turboing up to 3.9GHz right out of the box. Additionally, unlike the Intel Core i5 series, the Intel Core i7 series is Hyper Threading enabled, which means it’ll be a 4 core, 8 thread processor. Since many workstation applications such as Adobe Premiere, Adobe Photoshop, Sony Vegas, etc. can take advantage of multiple threads, the 4 additional virtual threads will allow the i7 series processors to perform up to ~30% faster than the i5 series processors in these applications. Additionally, since we’ll be going with a K series processor with an unlocked multiplier and we’re going with the powerful Corsair H100i CPU cooler, those feeling adventurous will also have the option of overclocking the CPU for additional performance. With our gaming workstation build this month, our main goal was to put together a system that was fast, reliable, and had plenty of upgrade potential down the line, so for our motherboard, we selected the ASUS Z87-Deluxe. Based off the Intel’s latest Z87 platform, the ASUS Z87-Deluxe is a premium grade consumer level motherboard in ASUS’s lineup carrying a ton of features for the price. Starting with the power delivery system on the board, we’re going to get a powerful 16+2 DIGI+ digital power delivery system, which ensures stable, clean power to both the CPU and the memory for that rock solid stability. In terms of expansion, we’ve got support up to 32GB of dual channel memory, PCIe 3.0 based graphics, 6x6Gb/s Intel controlled SATA ports and an extra 4x6Gb/s ASMedia controlled SATA ports for a whopping 10 SATA 6Gb/s ports for additional storage options. Additionally, ASUS didn’t skimp on the connectivity options here as well offering Wi-Fi 802.11 AC, Bluetooth 4.0, dual gigabit ethernet, and six USB 3.0 ports via the rear I/O. 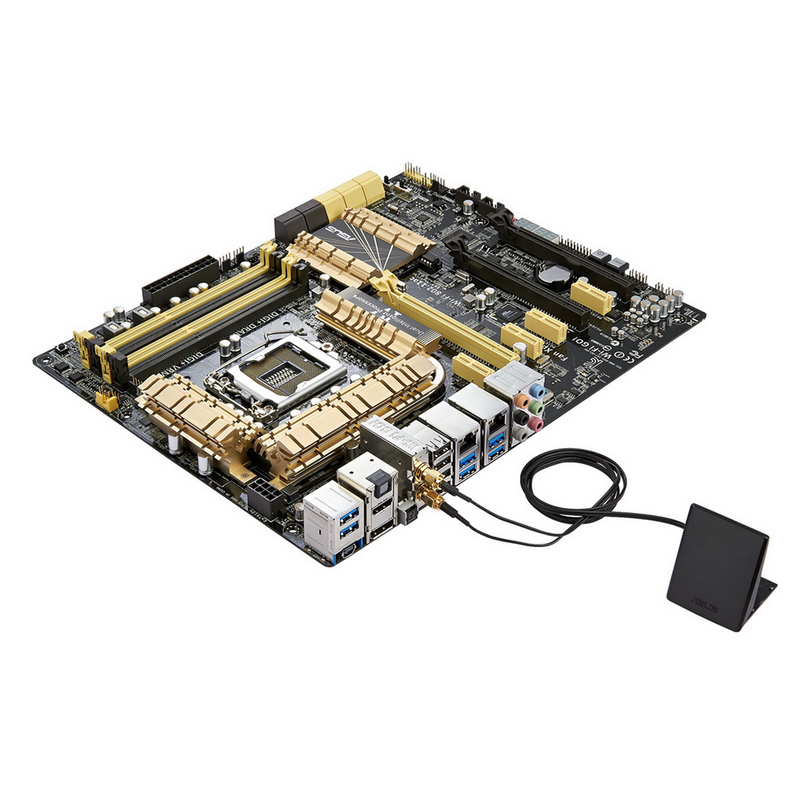 With a best in class software suite, easy to use UEFI BIOS, and a rock solid reputation, the ASUS Z87-Deluxe is the perfect board for our build. 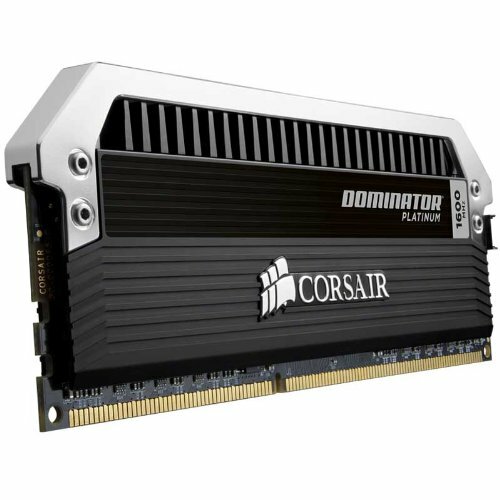 Typically our go to memory is the Corsair Vengeance 1600MHz Low Profile memory, but for our high end build today, we’ll be going with something a tad bit… flashier, so our choice for this month’s build is the Corsair Dominator Platinum 16GB (2x8GB) DDR3 1600MHz kit. While the Vengeance Low Profile kit would still be a good choice here, I really wanted to get a kit that not only looked phenomenal, but also has its internal components handpicked for top notch performance and reliability. With the Dominator Platinums, that’s exactly what you get. That said, the major problem with getting such a premium grade memory kit is the cost, so those looking to save a couple bucks on the build are welcome to go ahead and pick up the Vengeance Low Profile kit instead. Just make sure to pick up the 2x8GB kit if you’re planning on running 16GB. Since the Z87 platform only has 4 memory DIMM slots, this will give the option of dropping in an additional 2x8GB kit for 32GB of total memory. Corsair’s Graphite Series 600T probably doesn’t need an introduction by now. Despite the fact that it’s one of the older cases on the market, it’s still one of the most beautifully designed and most advanced cases available today. With a fully dust filtered interior, full sized sidepanel window, USB 3.0 support, eight expansion slots, and plenty of cooling available, it’s without a doubt my pick for our build this month. Since it’s also been requested that I include a couple additional case suggestions in addition to the featured case, those not interested in the Corsair Graphite Series 600T may also check out the Corsair Obsidian 650D, NZXT Phantom 630, or NZXT H630. Those looking for larger cases for additional expansion may check out the CM Storm Stryker, NZXT Phantom 820, or the Corsair Obsidian 900D. Since we’ve got quite a decent budget here at $2,500, we definitely wanted to go all out with the graphics card which is why we’ve chosen the new EVGA GeForce GTX780 SuperClocked 3GB with EVGA’s ACX Cooler. Despite the strangely long naming scheme, this is EVGA’s custom version of Nvidia’s GTX 780, which has been outfitted with EVGA’s ACX cooler and overclocked from the factory for good measure. This will give us plenty of power to drive all the latest games at the highest quality settings. Be aware that EVGA also sells an EVGA GeForce GTX 780 SuperClocked 3GB with the Nvidia reference cooler rather than EVGA’s custom ACX cooler for the same price. Those looking to put the graphics card in multi-GPU configurations may find that the Nvidia reference cooler may provide better thermal performance when multiple GPUs are stacked together; however, the ACX cooler will provide better performance when used by itself. 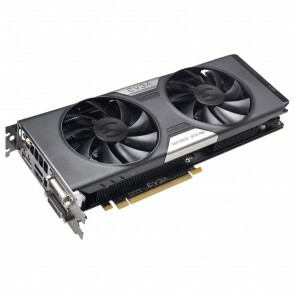 While the GTX 780 does offer gobs and gobs of performance, it does come at quite a steep price, so those looking to stay under a $2,000 budget yet still want the ability to play pretty much every game on the market at the highest possible settings can go ahead and pick up the AMD based Sapphire HD 7970 OC or the Nvidia GeForce GTX 780’s little brother, the GeForce GTX 770 instead. Both of these cards offer much better price to performance ratios and will still easily drive almost any game on the market today at resolutions of 1920×1200 or under at maximum settings. On a separate note, those looking to use the system primarily for video rendering or 3D modeling work and know that the performance of these applications can be accelerated with CUDA processing, I’d definitely suggest going with either the Nvidia GTX 770 or GTX 780. Unfortunately, only Nvidia graphics cards support CUDA technology as it’s a proprietary Nvidia technology. Those more serious about work rather than play can also opt for workstation class graphics cards such as the Nvidia Quadro K4000 or the Nvidia Quadro K5000. While these graphic cards tend to perform slower than gaming graphics cards in games, some professional graphics or video editing applications will only support professional grade graphics. Be sure to check with your software vendor if you’re unsure. 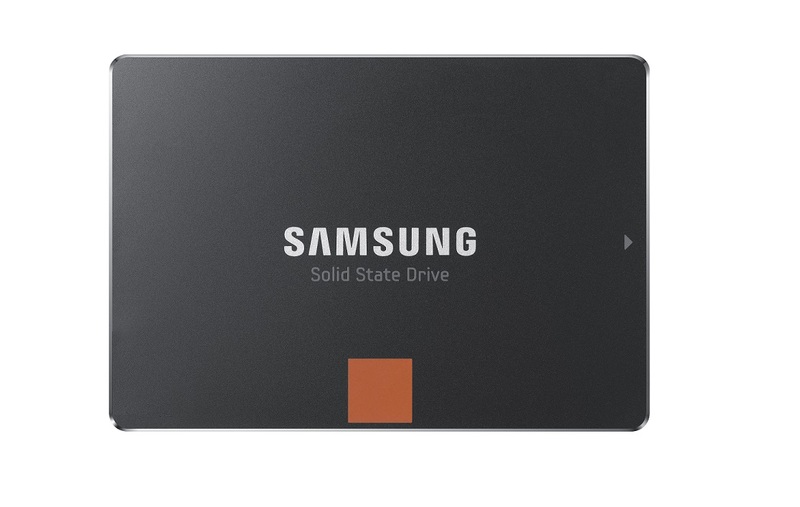 No high end gaming or workstation PC is complete without a high end SSD as well, so for our build today, we’ve also picked the Samsung 840 Pro 256GB SSD to power our storage needs. Since its introduction late last year, the Samsung 840 Pro series SSDs have been the favorite SSD here at Custom PC Review. With performance figures up to 540MB/s reads and 520MB/s writes, the Samsung 840 Pro is capable of completely saturating any motherboard’s SATA 6Gb/s interface. Along with blazing fast sequential performance, it’s also among the fastest SSDs on the market in 4K small file size transfers as well, making any application feel fast and snappy. Of course, a high end gaming workstation is going to need more than 256GB of storage space and while we’d prefer upgrading to the 512GB Samsung 840 Pro, it unfortunately will run us $450+, which will make this build significantly overbudget. 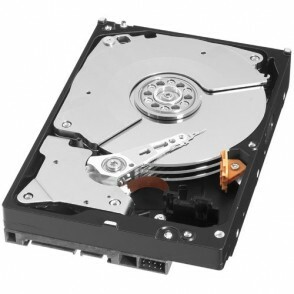 This is why we’ve also included the Western Digital Caviar Black 3TB traditional hard drive as well. The Caviar Black series hard drives from Western Digital has been regarded as the fastest 7,200 RPM hard drive on the market making it a perfect storage drive for storing additional games, pictures, and videos that don’t fit onto the SSD. By installing Windows along with any application files onto the superfast SSD and any media files onto the hard drive, we’ll be able to make full use of the SSD where it performs best yet still have plenty of fast and cheap storage for our storage needs. Current pricing on Amazon for our build today is $2,447.68, which falls right into our $2,500 budget with a couple bucks to spare for some additional accessories or upgrades. As usual, if you’re interested in upgrades, downgrades or any changes to the build, be sure to post in the comments section below or check out the PC Builds and Upgrades section in our forums. Some readers have expressed interest in monitor, speaker, mice and keyboard suggestions, so we’ve also started including some recommendations for these items as well. I won’t be explaining the choices as these optional components are quite dependent on the purpose of PC (For example, someone serious about audio may end up with $400 Audioengine 5+ speakers and an ASUS Xonar Essence STX), but here are some suggestions that are a good fit for this build. If you have questions or need additional suggestions for these products here, be sure to post your question in the proper section in our forums. Hi! I was wondering if this build is also good for streaming and recording? I’m quite a newbie when it comes to talk about hardware and i can’t really tell when a computer is bad or good computer (yea i only play games) xD well thanks in advance to anyone who anwsers. Yup. It’d be a great system for streaming and recording. Just make sure you grab a gaming graphics card so probably that GeForce GTX 780. I’d also highly recommend having a capture card if you’re streaming. That way the capture card can encode the video stream to x264 on the fly rather than have it done on the CPU. This reduces processing load on the CPU/memory so it doesn’t affect your in-game framerates. and since i want that asus z87 deluxe I’m not sure if it will fit the DIMM Slots and If it fits (hope you answer xD) what are the differences between the one you mentioned (Corsair dominator platinium) and the one i have. Since my case will arrive at tuesday 31 I am very imperative to start doing some stuff right now, I was wondering if i can (if its possible) Install the windows 8.1 64bit pro OEM on my Samsung 840 Pro 256GB SSD on my laptop and then when the case arrives just install the SSD so it can boot and start using the computer. I was wondering if there’s a big difference from the Corsair Professional Series AX850, Which is better? and there’s a real big difference? Memory – Yes it will work. SSD – Not sure what you mean there. If you take your laptop’s SSD out and install over it with a new install of W8, it will be overwritten. It will work though. You’ll just lose your laptop’s data. PSU – Thats an updated version of the AX850 which I believe was discontinued recently. It’s newer and more efficient. What is the difference between using the Corsair H100i and http://amzn.to/1bHzPQB aside from the fact that there’s no opportunity for water damage to occur in the latter option? I’m going to use this model to build a gaming PC, but my friend is assisting me and he isn’t convinced that risking water damage is worth it. Additionally, now that it’s been a few months, are there any parts that could be exchanged for better alternatives? I’ve been looking all over to gather the best combination of parts, and others have suggested using Gigabyte hardware for certain aspects of the build, amongst other things. The difference is a ton of cooling performance and how much you can overclock your system. As for leaking, I’ve personally never seen a system leak before. I’ve talked to a number of different vendors regarding the AIO systems leaking. and they’ve told me that pretty much every incident they’ve had is because users are bending the tubes and fittings in ways that they shouldn’t. That said, for the few incidents I’ve seen posted online with Corsair AIO systems, Corsair replaced everything damaged by the water cooling unit. You can definitely go for the Hyper 212 EVO, but you’ll need to get very lucky with the CPU to overclock further than ~4.2GHz. As for alternatives, nope. I wouldn’t change a thing. If you need to save a couple bucks, the Gigabyte Z87X-UD5H is a great alternative. We actually reviewed it a couple weeks back. No Wi-Fi or anything, but otherwise it’s a solid motherboard for a lot less than the ASUS Z87-Deluxe. Also looks like Corsair may have dropped the AX850 in favor of the AX860, but some users are reporting coil whine with the unit so I’d say go for the AX860i if you can. Otherwise, you can always go for something like the TX850 to save a couple. No 80+ Platinum rating, so a bit less efficient, but it’s a great power supply that I’ve had plenty of great experience using. Thank you very much. I’ve been researching all day and I’ve decided to get the H100i. How much overclocking do you think I could achieve with that? 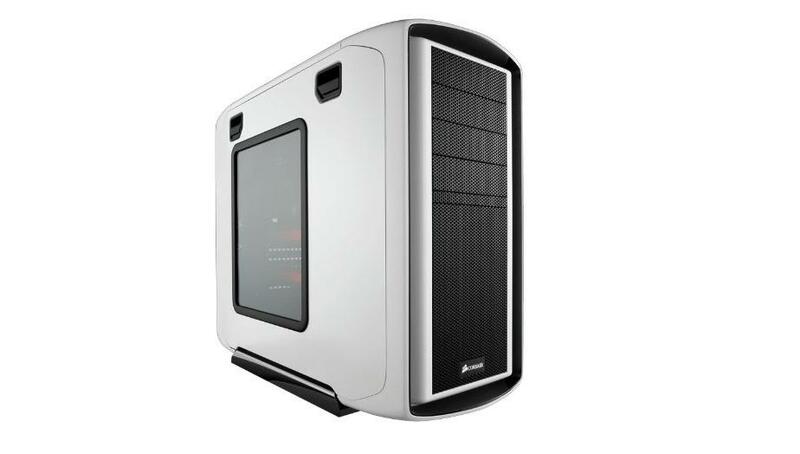 Also – out of curiosity, how does the ASUS Maximus VI Hero compare to the ASUS Z87-Deluxe or the Gigabyte Z87X-UD5H? I was considering going for SLI GTX 780s and wanted to cut back on the cost of the motherboard (especially since I will never need wifi or bluetooth capability). Well if you don’t need WiFi or Bluetooth and don’t see a need for it in the future, then both the Gigabyte Z87X-UD5H and the Maximus VI Hero are great choices. The Gigabyte Z87X-UD5H will give you a bit more features such as more SATA ports, more LAN ports, and a beefier power delivery system, but for what it sounds like you’re planning on doing, both boards will perform the same. IMO you probably won’t need like 10x SATA 6Gb/s ports. As for graphics, what kind of monitor setup are you using? I’d recommend you go with a single GeForce GTX 780 Ti for now. You can save on costs and it should run everything you’re looking to run at max quality/resolution as long as you’ve got a standard 1920×1200 or under monitor. If you feel like it’s not enough performance, then you can always go ahead and purchase another one and SLI them. I’ve been toying with building my own gaming PC versus buying one from Origin PC. I just get nervous about having no experience assembling a PC. Do you think I could assemble this build watching youtube videos. I just don’t want to spend this much money and have a brick. Yup. I think you or anybody could put together a computer as long as you put everything together slowly and follow instructions carefully. It’s definitely not the most difficult thing in the world and in this day and age there’s just so many resources out there to help you. Feel free to use our forums as a resource if you run into any issues. Of course, if you really don’t feel comfortable working around computers and have problems connecting a VCR to a TV, then Origin PC might be a better solution for you. The Asus motherboard in this build has some pretty terrible reviews related to quality control and defective parts. Any alternatives to the board in this build? Hmm… the Z87 Deluxe has been a good board in my experience. All boards from all vendors experience DOA from time to time so it’s a luck of the draw. Amazon also has a great return policy though so if it does turn out to be DOA, you can just send it back to Amazon and they’ll cover shipping on that. If you contact customer service, they might be able to expedite shipping to you as well. That said, if you’re looking for some alternatives, I’d say the ASUS Z87-Deluxe/Quad is what I’d pick up today. In additional to the Deluxe, you also get two Thunderbolt 2 ports. 20 Gb/s bandwidth per port with daisy chain support if you have Thunderbolt 2 compatible devices. If you don’t need Thunderbolt or WiFi, or the extra I/O options the ASUS Z87 Pro is a good one as well. Solid board for a great price. Should be fantastic in a workstation type machine. Sam, my primary purpose in a new computer to replace my 8 year old Dell XPS 600 is one that will send the pc screen to a vcr/tv so that I can record some of my flight simulation sessions. Does the nvidia quadro 4000 have this capability without any extensive modification? I have been looking at a new computer with this GPU but it did not elaborate on the pc screen transfer. Do you think it would be optimal to upgrade the bootdrive to 512 gigabytes and the memory to 4 terabytes in this build? Or would it just be a waste of money? I am planning on building a custom computer with the following specs. If anyone has any recommended changes let me know. The computer must be able to handle the latest games plus I handle huge amount of archived files and use the computer for work so it is not just for gaming. I wanted to run my build by others before going ahead in-case someone had some good advise for me to improve performance. im building a pc under 200 dollers is that good? I am planning on building a custom computer with the following specs. some good advise for me to improve performance. Its not a real workstation unless it has ECC ram. This is just a gaming pc that can do workstation duties. How about the best workstation with ECC ram that can also play games well.